Minnesota-based singer-songwriter Steven Sayles has just unveiled his brand new single At The Cross. The somewhat atmospheric electronics in the beginning were what caught my attention and his powerful vocals sealed the deal for me. I am really enjoying how his lush vocals perfectly convey the emotion of the lyrics that tackle issues such as anxiety and depression. Loving the synths and groovy guitar licks and the overall infectious pop hook. 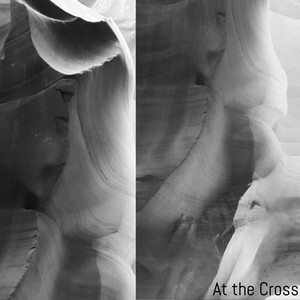 At The Cross is quite a beautiful piece of music with lovely vocals and a memorable melody. Check it out below! Writing music in general and specifically this song, At the Cross, has helped me to get through a lot of anxiety and depression that exist in my life. Somehow putting music to my thoughts and pain act as a therapy. This song is about finding hope even in the darkest circumstances.